Dr. Manika received her Bachelor’s degree in Neuroscience from the University of Michigan in Ann Arbor. She then continued her education by obtaining her Doctorate of Dental Medicine degree with honors from the University of Pennsylvania in Philadelphia. During her time in Philly, she discovered her passion for orthodontics and decided to pursue her specialty training at the University of Illinois in Chicago, where she received her Certificate in Orthodontics and Masters in Oral Sciences. Dr. Manika is a board-certified orthodontic specialists and Diplomate of the American Board of Orthodontics. 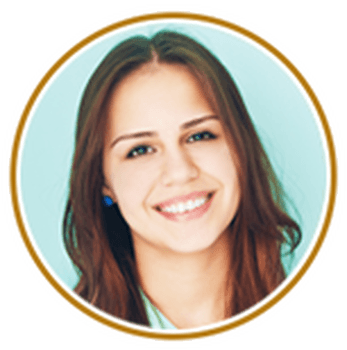 She regularly participates in continuing education courses to stay current with all the advancements in orthodontics. Dr. Manika also maintains active memberships in professional orthodontic societies in order to provide the highest level of care and to stay up to date with the latest advances in technology. Dr. Manika resides in downtown Chicago, but was born and raised in New Jersey. Outside of the office, she enjoys running, traveling, skiing, dancing, and spending time with her family. Dr. Manika is thrilled to be working alongside Dr. Bicknell and excited to continue to meet and bring beautiful smiles to all the wonderful families in the community.